Over the years, Smart Politics has written extensively about the frequency with which states have flipped their partisan preference from cycle-to-cycle in presidential elections. Among the findings detailed on this site are that the nation’s electoral maps are the most static they have been in history, three-dozen states across all regions of the country are in the midst of their longest ever Democratic or Republican winning streaks, but that at least one elector-rich state with 10+ Electoral College votes has flipped from the previous cycle in 44 of the last 46 elections. As Donald Trump pulled away from his rivals in the Republican primaries, his success in garnering the support of white, working class voters resurrected the narrative that Pennsylvania would be in play for the GOP this November. Skeptics say Pennsylvania is fool’s gold for the GOP – a state that flirts with going red each cycle, but ultimately falls into the Democratic nominee’s column. That has been the case for the last few decades, although Republican nominees have come within single digits of carrying the state in five of the last six cycles. 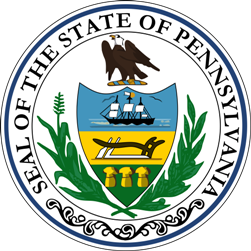 Pennsylvania is one of 10 states that currently hold a six-cycle streak voting for Democratic presidential nominees beginning with Bill Clinton in 1992, along with California, Connecticut, Delaware, Illinois, Maine, Maryland, Michigan, New Jersey, and Vermont. Of these 10 states, Pennsylvania is the most frequently mentioned by prognosticators and Republican campaign surrogates when speculating about which state could flip back to the GOP in 2016. Democrats have won by a narrower margin in Pennsylvania (averaging 6.8 points since 1992) than in any of the other nine states, with Michigan the only other state coming in under double-digits (9.2 points). But have Republicans been burned one too many times by Keystone State voters to have any confidence the state will back Trump this November? Or could Pennsylvanians be ready to scratch a seven-cycle itch? Smart Politics examined the 2,000 statewide elections for president conducted since 1828 and found that 21 of the 80 six-cycle partisan statewide winning streaks ended in the next cycle (26 percent) including 18 of 44 that occurred since 1932 (41 percent). Since 1828, there have been 90 instances in which a political party has recorded a six-cycle (20-year) winning streak in a state, and each of the 50 states has tallied at least one of them. Of these 90 streaks, 59 continued with a win in the seventh cycle while 21 came to an end. [The outcome in ten others are yet to be determined in 2016, as detailed above]. For the first century of the modern two-party era (1828-1928), it was extremely unusual for a winning streak that reached 20 years to end in the seventh cycle. Does this mean there is reason to believe Pennsylvania might add its name to this group by backing Trump in 2016? In each of the 18 examples listed above (as well as Kentucky voting GOP in 1924), the states to flip their partisan preference did so voting for a nominee who captured more than two-thirds of the Electoral College vote (all at 370+) and enjoyed more than a 200 electoral vote advantage over his rival. In other words, in every example since the 20th Century in which a state has flipped after backing one party for six cycles, it has taken something approaching an Electoral College landslide to do so. To be sure, few models are projecting Donald Trump to win in November flirting with 375 electoral votes. In short, Pennsylvania’s electoral-rich status makes it an attractive carrot for Republicans in 2016 particularly in light of the competitive races the state has produced over the last six cycles. However, history suggests if entrenched, generation-long political preferences are going to change in a presidential race, they need to piggy-back onto a big wave for that party’s nominee. At the moment, such an electoral landscape does not exist for Trump and the GOP. [Note: Clinton has also led in nearly every Keystone State poll conducted this year]. 1 Comment on "The 7-Cycle Itch: Will Pennsylvania Flip in 2016?" “Fool’s Gold”…”Attractive Carrot”…or WHITE WHALE indeed. Analogously, the Peach and Grand Canyon States seem to be such for the “Dems” this cycle – generally in light of the hardening polarisation (way more so since WJC stood for re-election in ’96), and particularly in the wake of HRC’s basket/half/deplorables comment days ago (though “Drumpf” has made vile polemical comments regarding likely D voter groups earlier, and much more often).